Incredibly realistic! 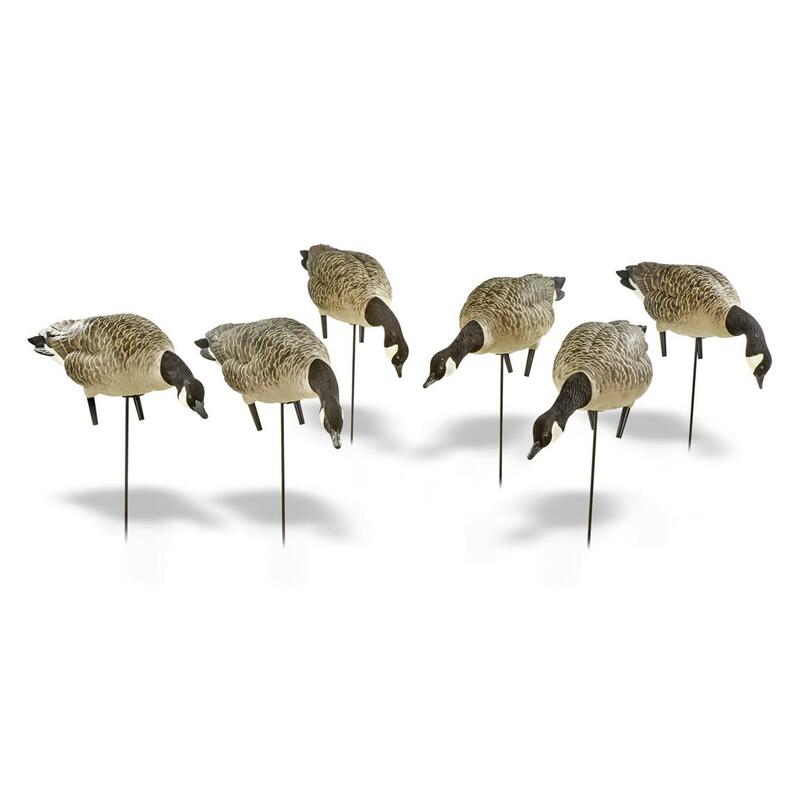 These Avian-X Painted Feeder Lesser Goose Decoys were created by world-champion carver Rick Johannsen and nationally-known goose hunter Fred Zink. They're second to none when it comes to duplicating the look, movement, coloration, and 3D appearance of the real deal. And not only are these decoys realistic, they're rugged, too. Simply put, there's no equal to these decoys when it comes to bringing in the birds. Avian-X Painted Feeder Lesser Goose Decoys, 6 Pack is rated 5.0 out of 5 by 1. Rated 5 out of 5 by hawkmom98 from NICE DECOYS FOR GREAT PRICE my husband really likes Avian X decoys so wwhen I could get these on sale it was perfect. He really likes the decoys (as expected). nice quality and the flocking is good---not all messed up. So realistic they'll fool even the most wary gray ducks. Realistic design and lifelike motion bring in the birds.